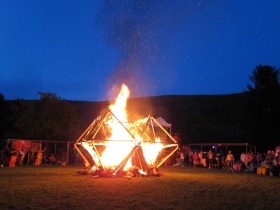 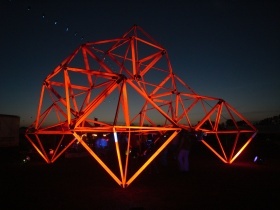 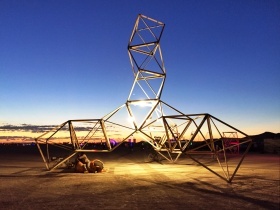 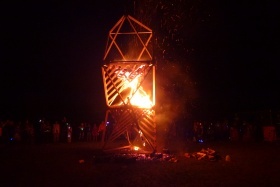 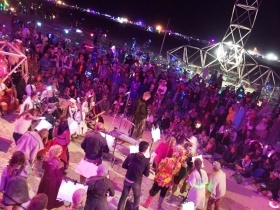 Geodesic Temple is a community of dreamers and doers exploring the sacred dimension in sculpture. 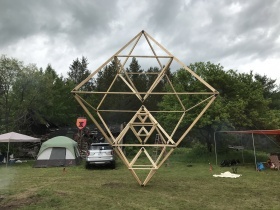 Geodesic Temple (GeoTem) is a modular system that uses the octahedron as a building block to create self-supporting structures. 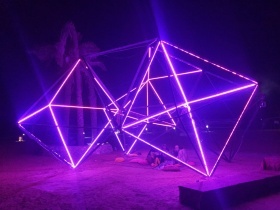 The octahedron, a geodesic polyhedron, is one of the five platonic solids. 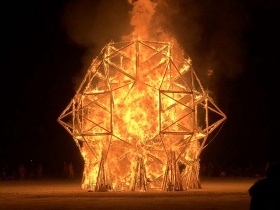 It has been used through the ages in sacred geometry and spiritual architecture. 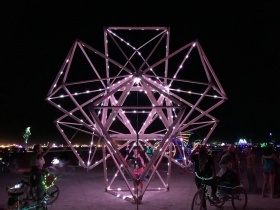 Geodesic Temple is an expression of the Disorient philosophy: individual cells work together to create the ever-evolving landscape of life. 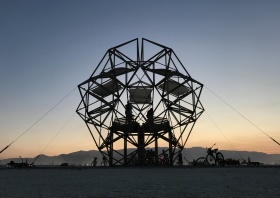 Explore our collection of Temples and understand how they are made. 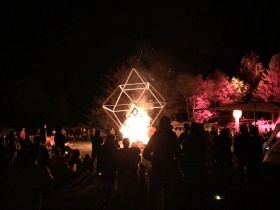 More Geodesic Temple logos here.